Evaporative cooling in Phoenix, AZ is not just for industrial and commercial spaces. Premier Industries, Inc. is proud to sell a line of residential evaporative coolers so that every home can benefit from the efficiency and quality of our products. Here is a closer look at the available options and features. Slide in (Alum) Face plate (not shown) is available to simplify winterizing of the unit by closing off air intake. Thermostat to include exclusive water and energy saving pump control. Motor is available in 230V and 480V, 3 Phase or 2 speed motors or as required to meet specifications. Stainless Steel legs with adjustable anchor plates. All Stainless Steel grade 304 Housing. Premier select rigid media 12″ thick. Lifetime lubricated ball bearing blower wheel. High Static Pressure capability up to 2″ w.g. Full top panel removable for internal access. Header Pipe of durable schedule 40 PVC. 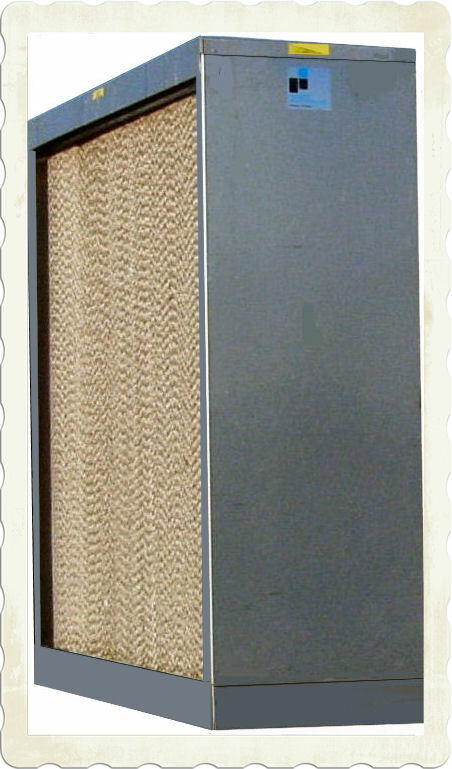 Aluminum bird screen, removable for service. 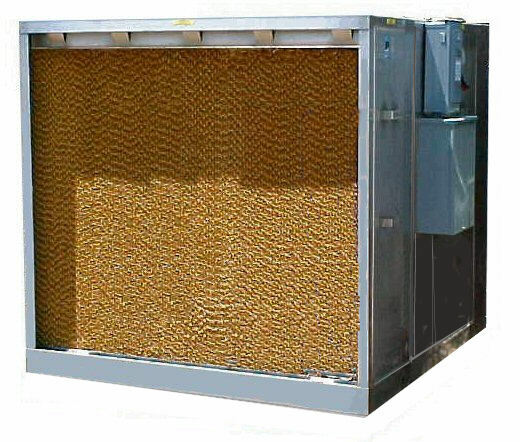 Allows replacement of wet sections and upgrade for existing coolers. Support legs and solid blank panel for winterization available as options. 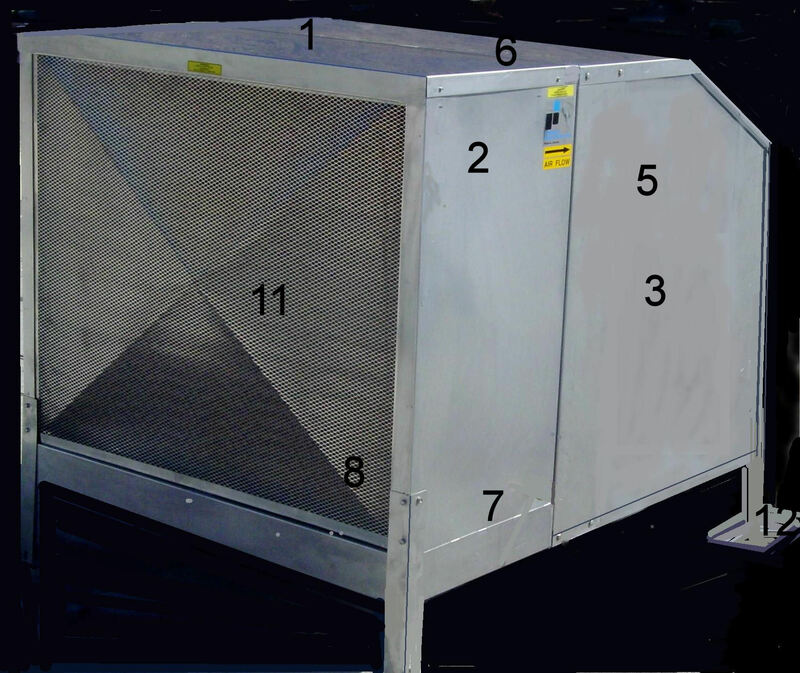 Five (5) sizes of complete evaporative coolers at competitive pricing. All Stainless steel housing and 12″ Premier rigid media. Highest quality and cooling efficiency available. 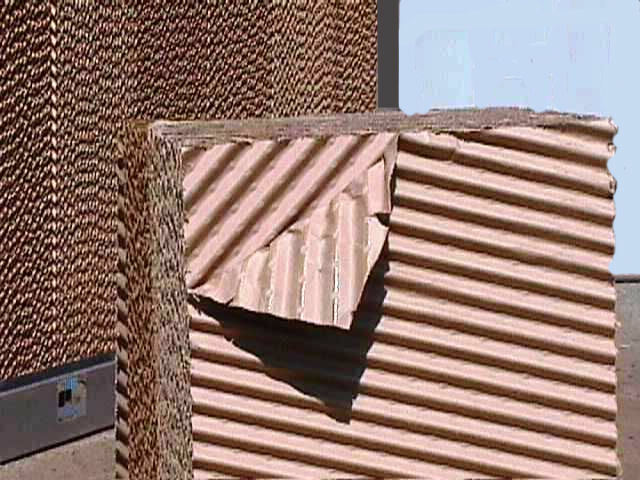 Premier stocks replacement cooling media for all standard evaporative coolers. Prices are competitive and a large inventory enables us to cut to size and ship quickly. SALES POLICY: Contractor pricing available to Licensed Contractors only. For more information about our line of residential evaporative cooling systems, please give Premier Industries, Inc. a call anytime at 602-997-8754, or fill out the form on our Contact Us page. We look forward to introducing you to our technology and making your home more comfortable and efficient.